AGA Cookshop E-Vouchers are the quickest and fuss-free way to send your personalised online gift for FREE by email straight to the recipient’s inbox. Perfect for all occasions, but particularly those when you don’t have time to find the perfect gift. First choose the value of your e-Voucher from our selection, multiple e-Vouchers can be purchased, just change the quantity, or add different values to your order. Fill out the details for the recipient who you'd like to send the e-Voucher to, and your name and a message. You should be able to preview the e-Voucher at the same time. Add to your basket, go through the usual checkout and payment process, you do not need to put anything in the delivery message box. 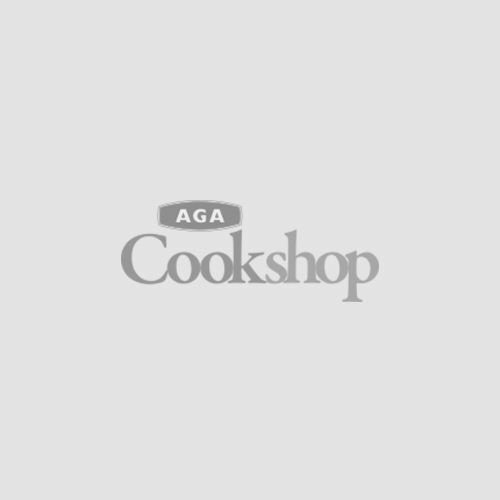 Once the transaction has been completed an email will be sent to the recipient who will see a unique e-Voucher code and they will be able to redeem the voucher code against any future purchases they make on the AGA Cookshop website. You will also receive a confirmation email for your order. E-Vouchers can only be redeemed online at agacookshop.co.uk. E-Vouchers cannot be exchanged for cash either in full or part, or replaced if lost or stolen. They cannot be used to purchase other E-Vouchers. The E-Voucher is valid for 12 months from purchase date. AGA Rangemaster Group reserves the right to amend these terms and conditions.